The article claims that Mr. Mouvet (or simply “Maurice”, as he seems to prefer) and Ms. Walton “imported [the Maxixe] from Brazil via Europe.” Although the article subheading states that “to learn it you really have to go in training,” Mr. Mouvet claims, in what I understand to be his characteristic bluntness, that he could teach “the most stupid person” the dance in about an hour. The article describes and diagrams several Maxixe positions. 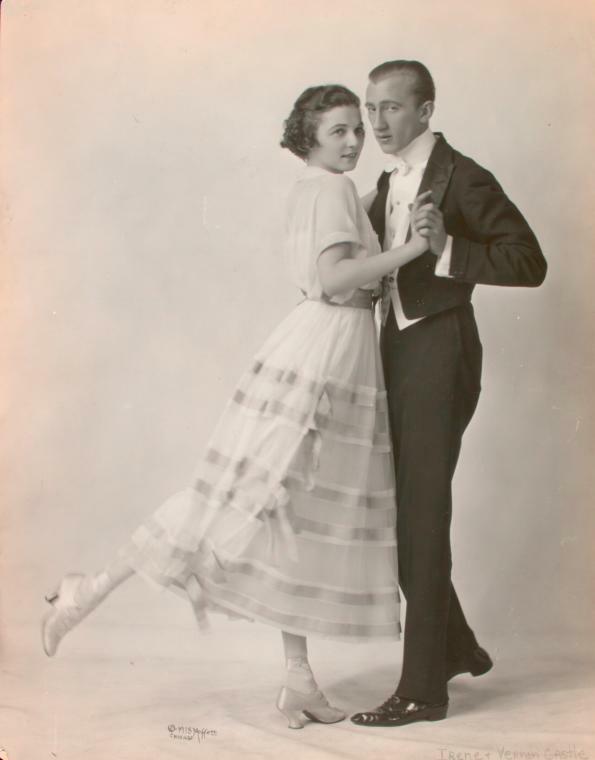 The dance begins, the article states, with (1) the partners side by side, dancing in a forward heel-toe movement, described as being similar to a “modified buck and wing.” Other positions pictured (and later discussed in the article) are (2) the two-step (with swings), (3) the lady standing in front of the gentleman, (4) the dip or the “Russian Step”, and (5) the kick. The kick is given particular attention by Ms. Walton in the article, who describes the gentleman as lifting her leg backwards with his knee. Ms. Walton takes pains to mention that, though it might be beneficial to their waistlines, the Maxixe is an inappropriate dance for the overweight lady, because the gentleman could not be expected to lift her leg with his otherwise. According to Ms. Walton, any lady over the hefty weight of 130 pounds is too stout and should not attempt the dance. The dancers report that they recently taught the dance to a Mr. and Mrs. Spreckels of San Francisco, while on route westward via the Imperator, a somewhat storied ship that has its own Wikipedia page. The Spreckels in question are possibly Alma de Bretteville Spreckels and sugar magnate Adolph B. Spreckels. According to Wikipedia, Mrs. Spreckels had several nicknames, including “big Alma” (she was six feet tall) and “the Great Grandmother of San Francisco”. She met her husband while modeling for the Dewey Monument’s Goddess of Victory, a statue that stands to this day in San Francisco’s Union Square. We can only assume that Ms. Walton and Mr. Mouvet did not adhere to their own weight restrictions when offered sixty dollars an hour to instruct the statuesque Ms. Spreckels in the Maxixe. Ms. Nixola Greeley-Smith, the author of the article, appears to have been an accomplished reporter. The granddaughter of famous editor Horace Greeley, Ms. Greeley-Smith’s primary employment was with Joseph Pulitzer. She worked for one of Mr. Pulitzer’s papers, first the St. Louis Post-Dispatch, and then the Evening World, from 1901 until she died relatively young in 1919 at the age of 38. She largely published personal interviews and “women’s interest” articles. (Notable American Women, 1607-1950: A Biographical Dictionary Volume 1, edited by Edward T. James, Janet Wilson James, Paul S. Boyer, p. 78).